The paper “Circle maps with gaps: Understanding the dynamics of the two-process model for sleep–wake regulation“, co-authored by Matt Bailey, Gianne Derks, and Anne Skeldon has been published in the European Journal of Applied Mathematics. The paper studies the “two-process model”, which has played a central role in the understanding of sleep/wake regulation for over 30 years, from a dynamical systems perspective. 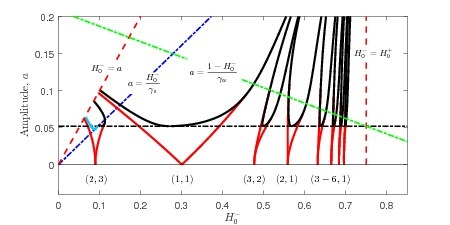 Using non-smooth dynamics of circle maps, a novel picture emerges showing how the periodic solutions that are created by saddle-node bifurcations in continuous maps transition to periodic solutions created by period-adding bifurcations as seen in maps with gaps. A link to the full abstract and published paper is here.